Angela is an experienced Registered Biodynamic Craniosacral Therapist (BCST) practitioner who treats people of all ages and conditions. Interest areas include chronic pain conditions and mothers & babies. Angela also has a keen interest in sports injuries, being involved in distance running herself. She has a medical, holistic and teaching background with supporting qualifications. Angela is an International tutor with Body Intelligence, teaching foundation & post graduate cranial work in NZ, Australia, Canada, United Arab Emirates, France and Israel. Angela opened the Inner Health Clinic in 2002 and now has 2 other registered BCST practitioners working in the clinic, to provide a wide range of days and times for client appointments. Angela is dedicated to improving health through working with the inner health of the client. · allows a wide variety of conditions to respond favourably. · offers a powerful way to connect with the body’s natural wisdom. · allows the individual’s system to set the pace at which work progresses and the order in which change occurs. · can bring about a reorganisation on many levels. · can also uplift those suffering from stress and anxiety. The Pacific Association of Craniosacral Therapists (PACT) recommends that you choose a Registered Craniosacral Therapist (RCST). This ensures they are fully qualified, meet the professional standards and follow the Code of Ethics. Biodynamic Craniosacral Therapy allows a connection to the foundational ordering forces within the body. This leads to a deep reordering of the client’s whole system that can result not only in a change of their condition, but also a change to the body’s constitutional health. Often after a series of treatments, clients can experience a resolution of the issue they came with and the added bonus of having more energy and resilience in their body. Clients may also discover with new ways of relating to themselves and others, a clarity about the direction in their life and a movement away from old patterns. Many people report feeling less stressed, calmer and more relaxed as a result of treatment. All ages can be treated with Biodynamic Craniosacral Therapy. Physical trauma can be recent (Acute) or long term (Chronic). Craniosacral Therapy can work with conditions and injuries from either category as is works with the body’s inherent wisdom to reset its balance and come to a healthier way of functioning. Craniosacral Therapy is very beneficial for acute trauma in that the therapy involves only a gentle, light touch with no manipulation involved and so is not painful to very recent injuries. Emotional as well as physical trauma experiences can be held in the body’s tissue. This can result in a contracted pattern, which alters the way the body moves and functions. Craniosacral Therapy works particularly well with these traumas, facilitating a safe resolution of shock and held experiences. It provides a powerful way into many conditions that have their origins in trauma, such as birth issues, accidents and illnesses. These changes can have a profound effect on the person’s relationship to themselves and how they relate to others. Business people In today’s very busy world, it is very easy to slip into a life that involves being on the go all the time. With so much technology to keep us contactable at all times, it’s no wonder our bodies start to feel sluggish and tired and just want a break from it all. Craniosacral Therapy can offer a safe haven form all the goings on of the world. The environment is supportive, quiet and calming. Craniosacral Thearpy can work wonders on unraveling an over active nervous system. When a Nervous system is constantly in stress, people start to notice other systems such as sleeping issues, poor bowel function, low energy levels, eye disturbances, digestive disorders, and the list goes on. Having regular Craniosacral Therapy sessions is one way business people can stay on top of their game. It can help give the client the resources, balance and energy to cope much better with what their work and life throws at them. Cancer patients Biodynamic Craniosacral Therapy offers a way for cancer patients to experience a calm, supportive environment in which to deal with their disease process and cancer treatments. While Biodynamic Craniosacral Therapy does not claim to treat cancer, the effects of treatment can be felt as an integrating calming effect on the client’s central nervous system. Being in a quiet, non-invasive therapeutic surrounding can help the client to gather themselves for the next task ahead, whatever that may be. Many client’s report that not only do they feel more relaxed and able to think clearer after a session, but that they sleep better and their energy levels rise, making it easier to cope with some of their cancer treatments, along with the emotional highs and lows that they go through. Angela Wheeler continues her work as a volunteer with the South Auckland Hospice Team where she has been a bereavement volunteer for over 5 years. This has given Angela a deeper understanding of terminal illnesses and compassion for the client’s she sees and their families, in her Craniosacral Therapy practice. Sports Injuries Biodynamic Craniosacral Therapy is a non-manipulative body-led, hands-on therapy. 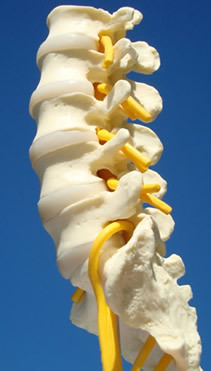 It works through the body’s ability to reorganize injured tissues, allowing health to be re-established. This helps to reduce or eliminate pain and discomfort and reduces the chance of on-going dysfunction through body compensation. Recovery speed can often be shorter and clients notice an increase in base energy levels. The Elderly Biodynamic Craniosacral Therapy is a gentle touch therapy which offers a supportive environment for people in their latter years. Often, as the body ages, it can get stiff or sore and starts to ‘play up’. 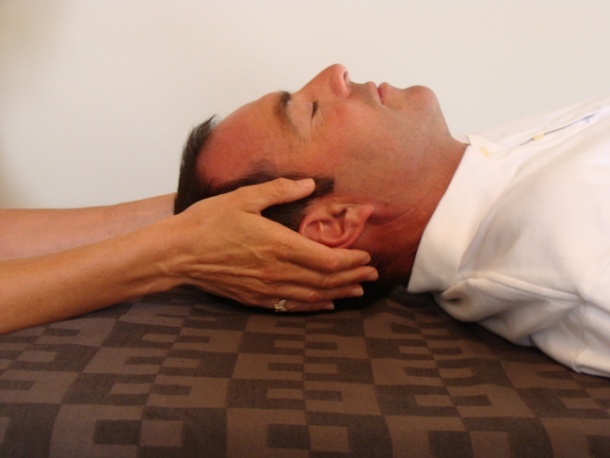 Craniosacral Therapy helps to support the changes within the body in a way which involves no manipulation. Due to the gentle nature of Craniosacral Therapy, it is ideal for treating fragile conditions. It may not be possible to experience a full resolution of the issue, due to the structural changes which occur within the body with age, but Craniosacral Therapy can offer some relief from pain and discomfort. Client often find they can sleep better and cope more easily with physical and emotional situations after they have had Biodynamic Craniosacral Therapy. Craniosacral Therapy can help a woman’s body adjust to the changes created by pregnancy and help her prepare for labour in a fully resourced condition. It can help her relax and ensure there is good pelvic alignment going into the birth. Working with the Craniosacral system of mothers and babies postnatally can help recovery from the rigours of childbirth. It can help the reorganisation of the mother’s body to a non-pregnant state, encourage bonding between mother and baby, calm mother’s systems down and gives them some time for attention to be focused on their needs as a mother. Compressions and restrictions experienced during the birth process may lead to common infant problems such as colic, excessive crying, irritability, feeding and sleeping difficulties. Craniosacral therapy can help relieve the compressions and restrictions, which then allows the baby to settle and heal. This often benefits the whole family as it reduces tension within the family dynamics. Some babies can react to immunisations and often mothers bring their infants in for post immunisation checks. Mother and baby are often treated in the same session. Children are treated for a variety of reasons, some being due to sleeping issues, behavioural and learning difficulties, post-immunisation checks, chronic illnesses (glue ear, persistent headaches, etc), injuries and general wellness checks. With very little children, they are often treated while playing with toys or being read books. Teenagers can get a huge benefit from Craniosacral therapy during a time in their life when things can all seem rather unsettling. Apart from sports injuries, we see a lot of teens for growth pains, hormonal imbalances, stress, digestive disorders and learning issues. Teenagers find the light touch therapy, in a supportive environment is very calming on their nervous system and they can really “chill out”. The children are often treated along with one or both parents. The family unit is treated at times to help interrelationships between the family and deal with issues that may be of a familial tendency. Craniosacral Therapy became of interest to Angela after the birth of her fourth child. She qualified as a Craniosacral Therapist, became registered and has had her own practice since 2002. Angela is currently a senior international tutor with the Body Intelligence Trainings (U.K), teaching foundation & post graduate trainings in NZ, Australia, Canada & Dubai. Angela is has served on the executive committee of the Pacific Association of Craniosacral Therapists (PACT) for a number of years, as a secretary, treasurer and most recently, as the chairperson. 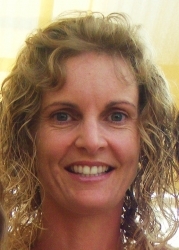 Angela has a NZ certificate in Medical Science and specialized in Biochemistry and Immunology. She was involved in Adult Education and this is an area that still holds her interest. After starting her own family, Angela studied a Certificate in Complementary Therapies. She trained as a Childbirth Educator and contracted to Parents’ Centre, teaching Antenatal and Baby classes.